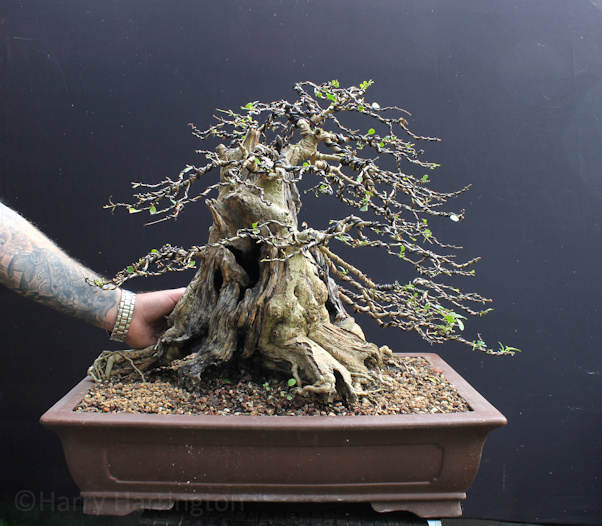 During July 2017 I had the pleasure of completing work on a huge Ligustrum ovalifolium/Privet bonsai, owned by a client. 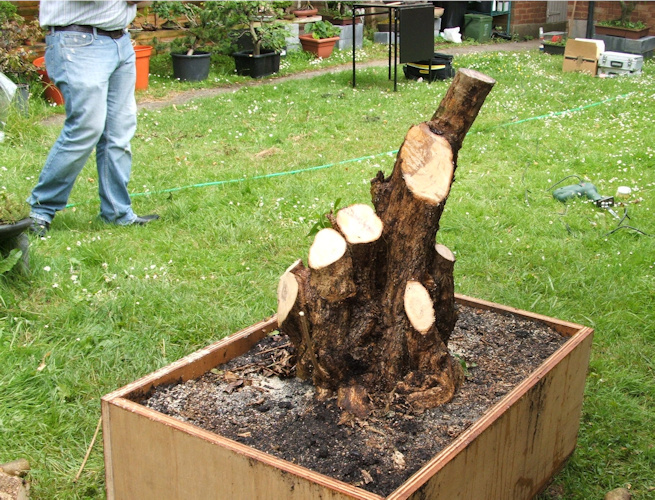 .........and using a reciprocating saw, I roughly shaped the tree into a stump ready for the long development into a bonsai. 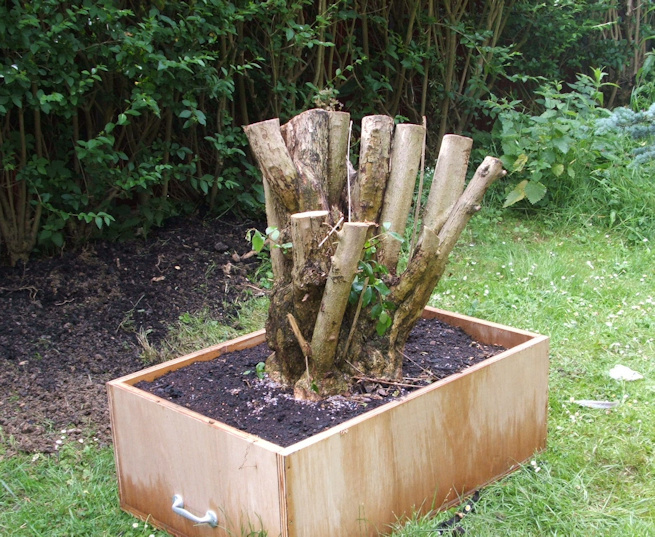 The tree was so big that it had been potted up into an improvised container that proved too heavy to be moved by 3-4 men. 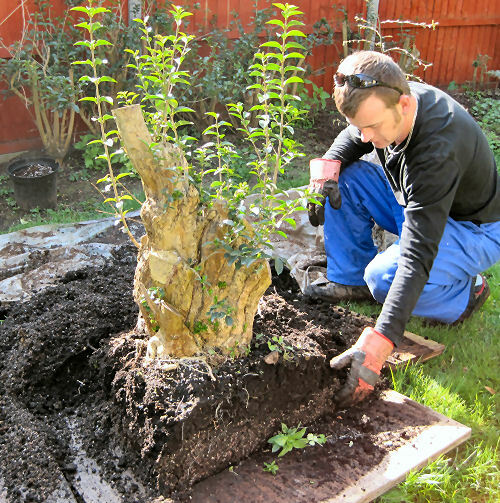 In 2010 I returned to bare-root the tree, that had by now, popped new shoots all over it. 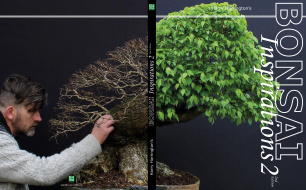 The story of this repotting can be seen here (opens in new window) and should be familiar to readers of my books. 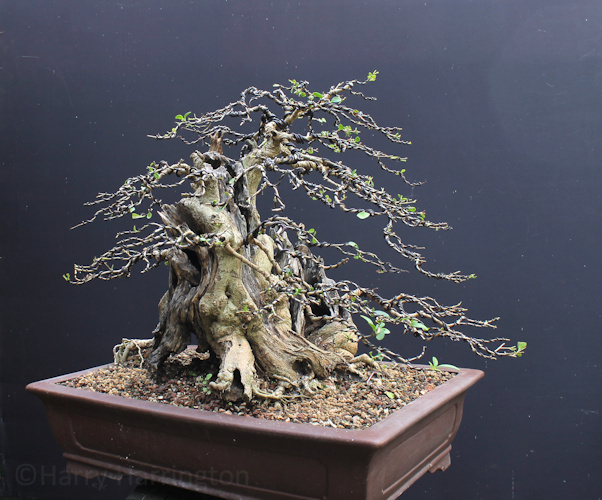 Fast forward 7 years to July 2017, and the bonsai after its most recent styling. The change in the appearance of the tree is huge. 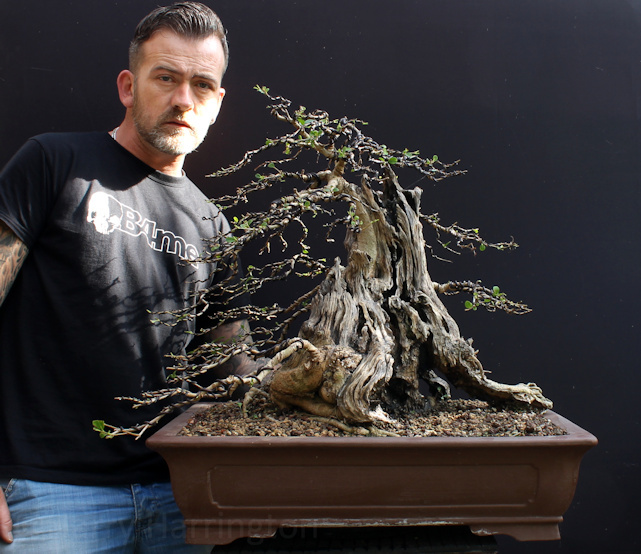 With its third major re-styling, I refined the carving on the deadwood, having first treated it with nearly 1/4litre of Cyanoacrylate (Superglue) to fully harden and protect against rotting. 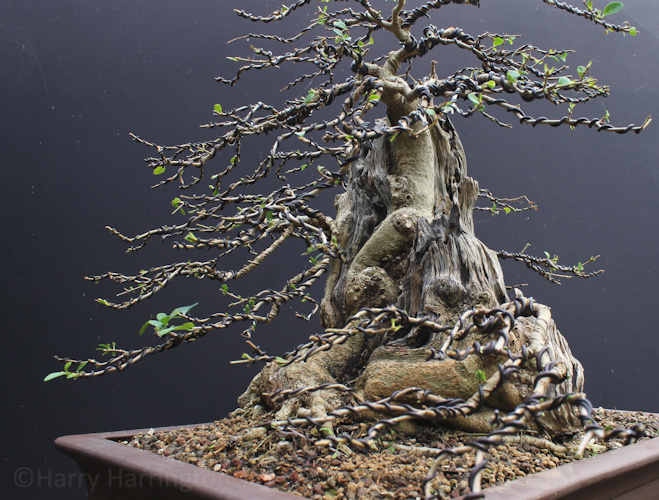 I then pruned, wired and re-positioned the branches to complete the styling. An entire progression series of the development of this tree will be published one day, but for now, here are further images of the tree itself. 19"/46cm in height with a 20"/50cm wide trunkbase. Currently planted into a 25"/62cm wide Chinese pot. 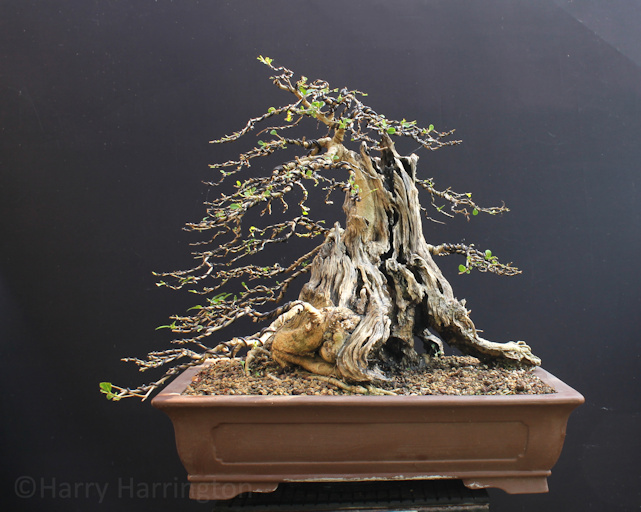 The Privet bonsai seen from the back. There are many pleasing alternative views of the tree and the back view is no exception. Although the apex still leans away from the viewer, this view of the back-left side of the tree is a favourite of mine. (Seen from the front-left corner) The live veins on the tree have become very prominent over the years and take twists and turns over the surrounding deadwood.